Great color scheme but I would put some different colored brims on the hats. Dark green with brighter green, stuff like that. And try a Jacksonville or "J-Ville" wordmark as Gators is on all the uniforms. The Gators are my new favorites! I absolutely love the color scheme and the "J" cap logo is wonderful. I would love to see a "Jacksonville" word mark across the away jerseys, but that's the only thing. Great work, yet again! Are you still taking requests for team colors/uniforms? 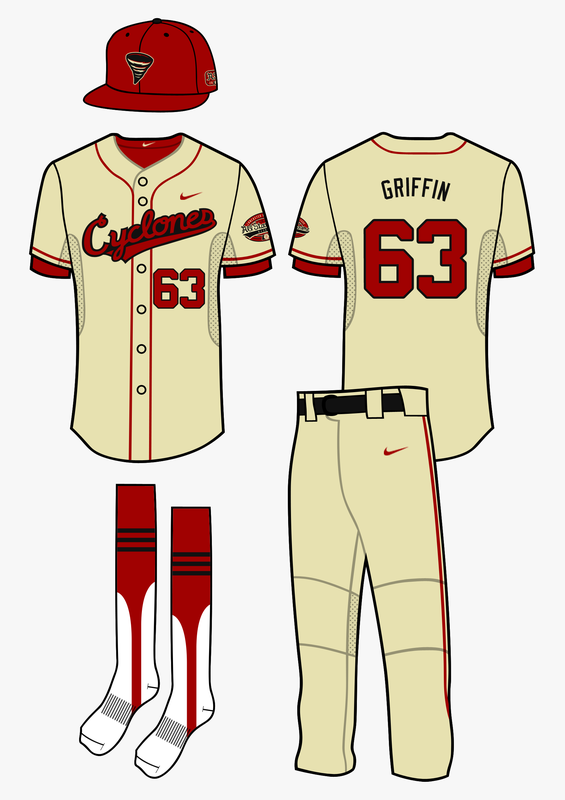 If you are, I'd like to see Miami's team with an orange Tequila Sunrise alternate jersey. Jacksonville is too long to fit. It'd look like this, which isn't good. As I said, the team dropped J-Ville from the roads because the owner wanted it and the fans didn't like the look. And the different colored brims didn't work very well, and bright green would be pretty gaudy. Nope, not taking requests. I just needed help with Boston. The Astros didn't exist, and neither did pullovers, so the Tequila Sunrise wasn't a thing, or at least not that specific design. Taking a slight break from Jacksonville because today, the 2015 USBL All Star Game took place in Omaha, Nebraska! Lancaster Ballpark was the proud host to the contest, as the home American Division defeated the visiting National Division, 4-1. Cyclones pitcher Dani Duran picked up the win, and his teammate Joey Griffin notched a hit in the fifth inning. 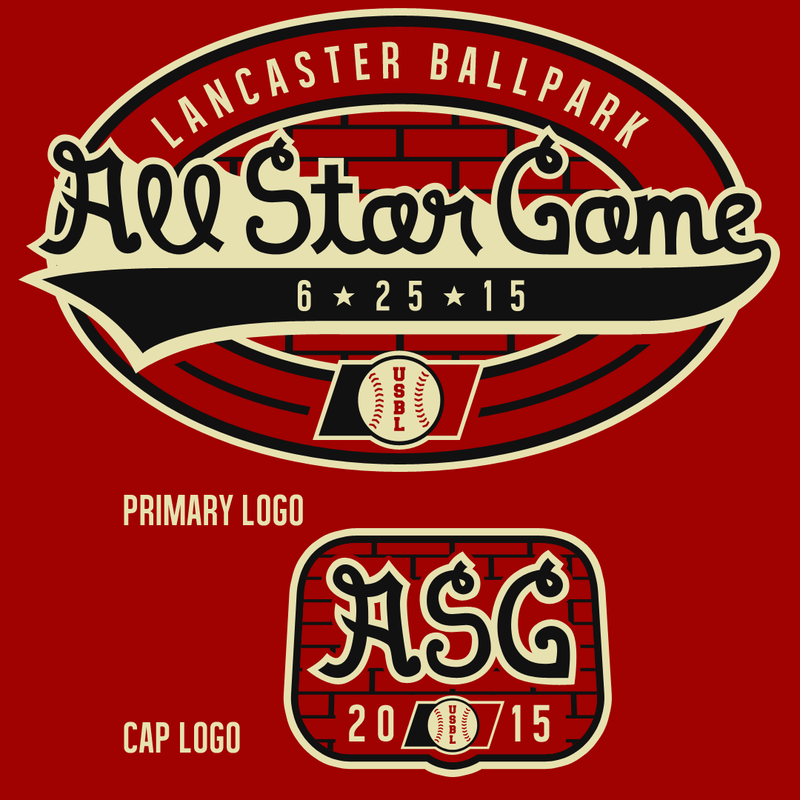 USBL ASG logos are traditionally minimal and incorporate an element from the host city's ballpark, and this one is no exception. The logo draws from the classic brick around the ballpark, and the scripts play off the Cyclones' wordmarks. For the All Star Game, each team wears their primary uniform--no alternates--with the cap patch on the left and the primary logo on the sleeve. The Cyclones, and all host cities, wear the patch the entire season in celebration of the event. Next year the ASG will be moved back to the middle of the season to better split up the schedule, but no location has been announced yet. Any thoughts on the All Star Game set or the Gators? I'll try to work on a secondary logo this weekend, if possible. And I guess Colorado, Omaha, Pittsburgh, and Washington don't have a regional rival. 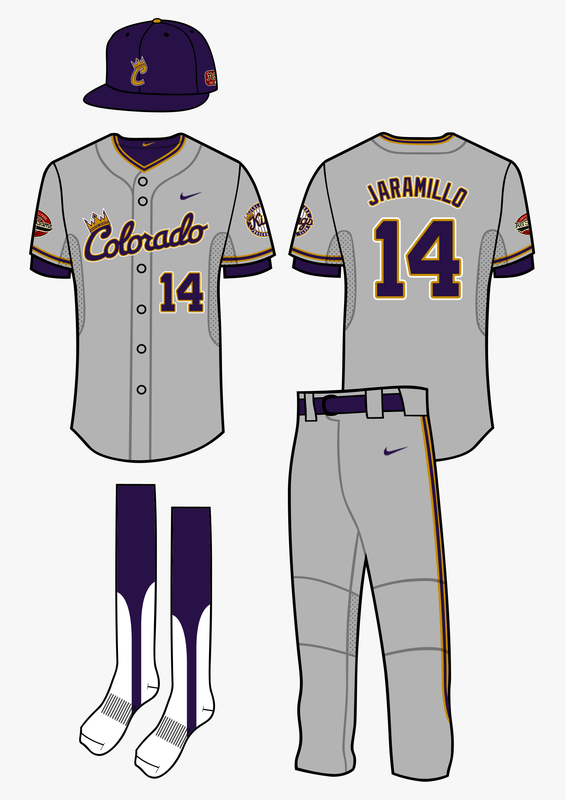 There's two unis to show the home and road, as well as how the patch would look on both the right and left sleeves of the jersey. Iowa-Omaha is starting to grow, at least as far as regional rivalries. Colorado and [Austin, TX] as well. Nashville and St. Louis is another big one, but the teams haven't really had good outputs in the last few years. The Kings and Captains don't really like each other because they entered at relatively the same time (1948 and 1953), and they've been known to have some pretty large brawls in the past. Colorado isn't really a "fan favorite," as their rivalry with Iowa is huge as well. First off: I love these designs and the detail regarding team history. Keep it up. Second: I have a question in general unrelated to your most recent posts of the All Star Game logos or the Jacksonville Gators. You mentioned that you use OOTP and let the game handle the schedule. How did that work out? I couldn't find a 162-game schedule for a 20-team league with interleague play. Let alone an unbalanced schedule for that matter. Any insight would be great. I made a custom league and bought OOTP 16. There's actually 160 or 165 games, I can't remember which. I went through the advanced mode to get everything the way I wanted. So to answer your question, I did it through the custom league wizard. If I'm not making sense, pm me and I'd love to chat. Here's what I worked up for a secondary logo for the Gators. I changed the laces/inner lines to the darker green because the primary didn't have any of that, so I included the primary as well. Yes, it's a very simple logo, but I think it works well considering it's a secondary logo and not the main mark for the club. It wouldn't be on uniforms or anything, just apparel. What do you think? People, they don't need a "Jacksonville" wordmark. Not every team has to have the city name on the road, and honestly a "Jacksonville" wordmark would be too long and look terrible. I like the secondary logo with the larger gator. I could see that being popular on apparel. I could give everyone a home and road script, striped socks, matching piping, everything that makes for a perfect baseball uniform (believe me, I stick to these rules more than anyone), but that takes all of the realism and uniqueness out of the league. Not to mention it gives me the ability to redesign/tweak some teams for the 2016 or 2017 season. To add to that, the Suns didn't have two word marks, and neither will the next team... Sounds like some of you are in for a treat . I thought I'd hate this gator color scheme at first but its really grown on me. I like the addition of black caps and I guess black as a whole. It might look better if you removed the stitches, at least from the alternate. It would be a little less cluttered and highlight the gator more. Other than that it looks really good! 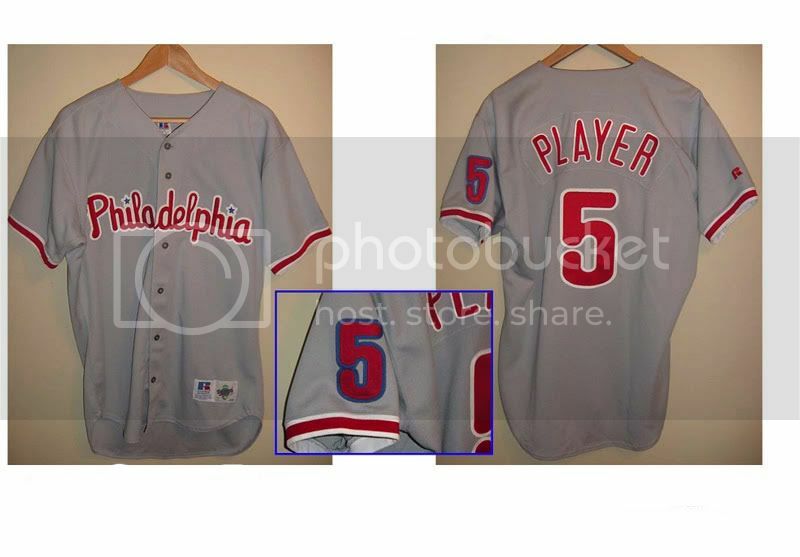 Totally agree with you after I saw the "Philadelphia" on the jersey in your reply to my post earlier. I've done a total 180 on that and think it actually gives them more character, being unique in that way. Keep up the good work! Love the All-Stat Game stuff as well!